Wianno Seniors have been competing in inter-club races on Nantucket Sound, beginning with the Edgartown Yacht Club Regatta, since 1928. In addition, the regular series races held off the Wianno Club in the 1910’s, 20’s and 30’s often drew fleets of 40 boats or more (divided into two divisions) from several yacht clubs. The Long Distance Race, sponsored annually since 1916 by the Wianno Yacht Club, is the oldest race in which Wianno Seniors have competed continuously. From 1916 to 1927, the race was sailed from Wianno to Falmouth Heights. Since 1928, contestants have raced from Wianno to Edgartown. In 1949, The Frederic F. Scudder Memorial Trophy was placed in competition. The Trophy is awarded each year to the Wianno Senior skipper having the highest average combined points in SMSA-sponsored regattas on Nantucket Sound for Wianno Seniors. In 1949, four Regattas invited participation by Wianno Seniors, those of the Edgartown (2 races), Nantucket (2 races), Stone Horse (1 race) and Hyannis (2 races) Yacht Clubs. Over the years various races have been added to and dropped from the Scudder Cup schedule. 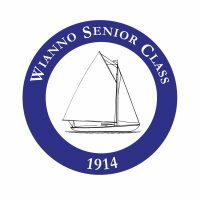 1954 was the last year in which Wianno Seniors competed in the Nantucket Yacht Club Regatta, and 1958 was the last year (until 1990) in which Wianno Seniors participated in the Hyannis Yacht Club Regatta as part of the Scudder Cup Series. In 1955, the Bass River Challenge Cup was placed in competition on the Sunday immediately following the Stone Horse Yacht Club Regatta. In 1959, the Wianno and Hyannis Port Yacht Clubs sponsored their first inter-club Regattas. From 1959 until 1989, the Scudder Cup Series consisted of the two races held at the Edgartown Regatta, and one race each sponsored by the Stone Horse, Bass River, Wianno and Hyannis Port Yacht Clubs. Following the 1966 season, the Wianno and Hyannis Port Yacht Club races were combined into a single two-day regatta held in alternating years at the Wianno and Hyannis Port Yacht Clubs, in order to eliminate the need for crews to sail from one Club to the other on the same weekend. A similar arrangement was made between the Stone Horse and Bass River Yacht Clubs. In 1989, Stone Horse Yacht Club formally withdrew as a Scudder Cup Series sponsor and the Hyannis Yacht Club became a sponsoring Club. In recent years, Stone Horse has again served as an occasional rotating host. In addition to the Scudder Cup Series races, there have been several other inter-club races over the years, including the Long Distance Race, sponsored by the Wianno Yacht Club, sailed annually since 1916, the Max Crosby Race sponsored each June since 1973 by the Wianno Yacht Club, the annual team races between the Wianno and Hyannis Port Yacht Clubs, held from 1936 until 1969, and the race from Hyannis Port to Harwich Port or Bass River sponsored occasionally by the Hyannis Port Yacht Club since 1960.